Saint Louis is an attractive destination for logistics businesses thanks to its multi-modal transportation infrastructure, available and accessible land for logistic business growth and an experienced staff of customs professionals equipped to efficiently handle any shipment type. 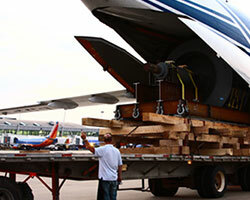 STL's current air cargo facilities are conveniently located on both sides of the primary parallel runways and are designed to expedite the flow of freight and handle both current and next-generation cargo aircraft. Lower-than-average warehousing, trucking, and labor costs have made Saint Louis an attractive location for logistics and distribution companies. In fact, the city is consistently ranked among the top logistics-friendly cities in the nation and one-third of the U.S. population can be reached in less than eight hours by truck, with 90 percent reached in less than 24 hours. 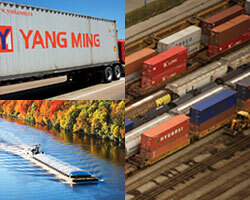 The Saint Louis region offers unparalleled access to multi-modal transportation. 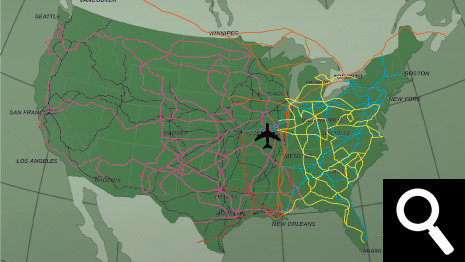 Efficient and uncongested, the Saint Louis highway system is located at the crossroads of four U.S. interstates, and has an additional four interstate linkages that provide further connectivity to the national interstate network that stretches from coast to coast and into Canada and Mexico. 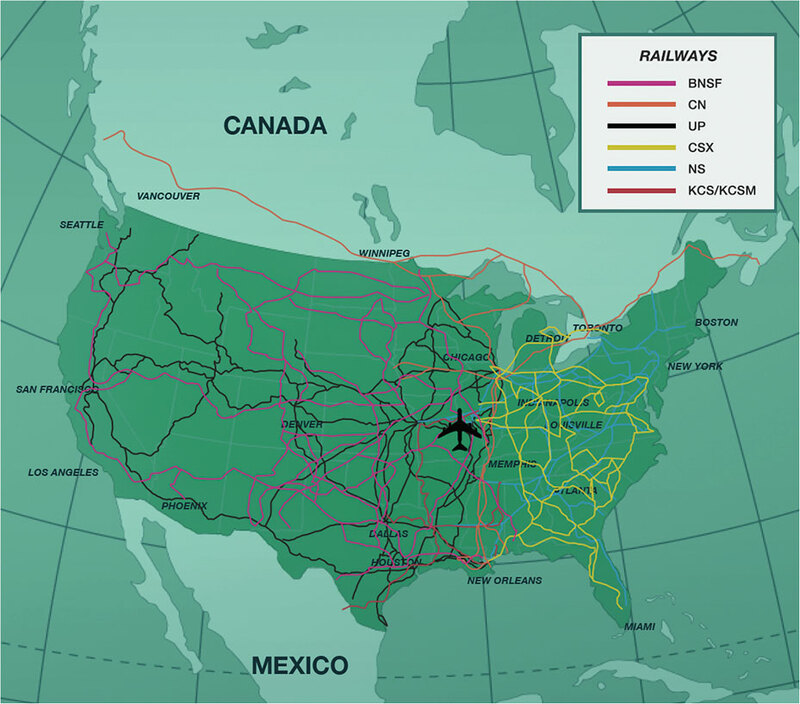 Saint Louis is the third-largest rail commerce center in the United States, with six Class I railroads (BNSF, CN, CSX, KCSR, NS, and UPRR) providing rail access throughout North America. 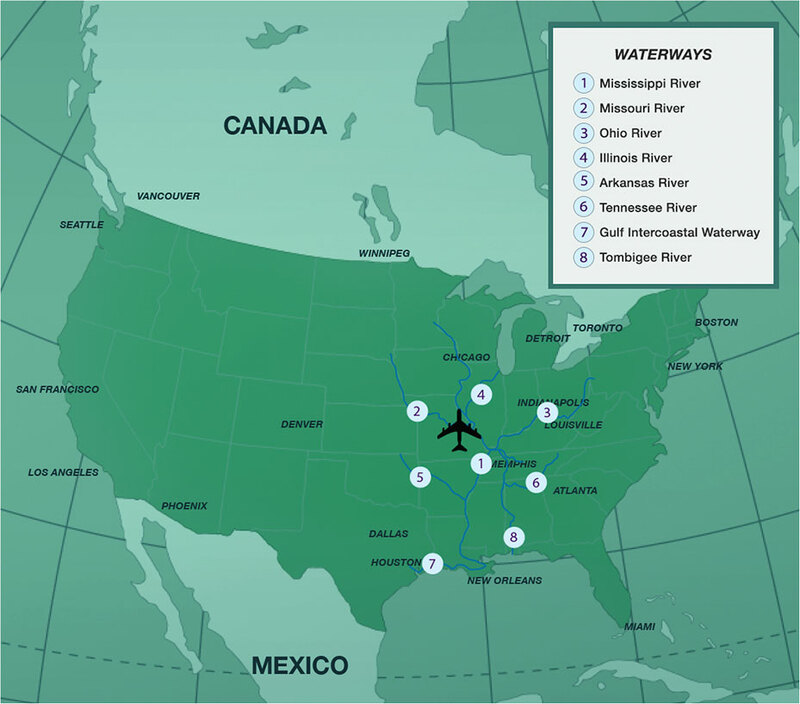 Situated at the confluence of the Mississippi and Missouri rivers, Saint Louis is served by all major barge lines, has more than 100 docks and terminal facilities, and is the second-largest inland port by trip ton-miles in the United States. 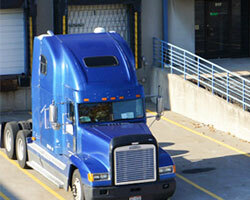 STL offers development options to meet your business’ specific needs. Both on- and off- airport property is available for commercial development. STL has the right land solution for you, right now. For more information about these and other development opportunities at STL, please contact the Marketing and Business Development Team. 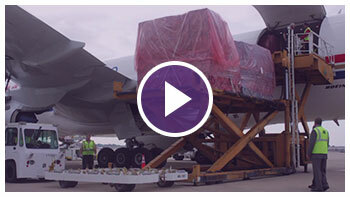 The air cargo community can expect expedited and efficient customs processing services at STL. This is due to a convenient and well-staffed on-site processing center, and a partnership between STL and U.S. Customs and Border Protection (CBP) officials. We have the right people. The CPB office at STL features veteran customs officers and agricultural experts who are equipped to handle virtually any shipment type. 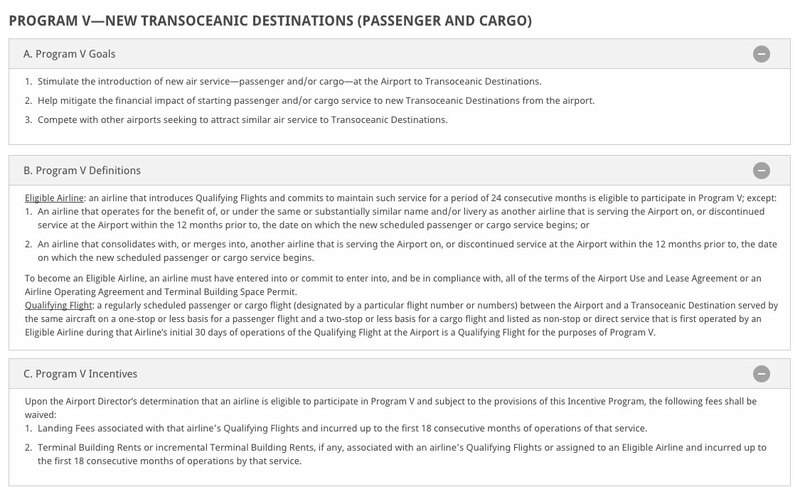 This includes cargo that may require specialized handling such as agricultural products, perishables, and dangerous goods. We put shippers’ needs first. Understanding the importance of working together to meet customer needs, STL collaborates with CPB staff to guide and support airlines, freight forwarders, customs brokers and importers/exporters to ensure the timely release of freight. Global companies can benefit from Saint Louis’s recently expanded Foreign-Trade Zone (FTZ) No. 102 by reducing the cost of importing foreign goods into the United States. All of St. Louis County and the City of St. Louis are now designated FTZ eligible, allowing companies to receive the FTZ designation to enhance trade and lower operating costs, even if it is not within the established boundary of FTZ No. 102.